How do you evaluate the struggle for Kurdish People’s Leader Abdullah Öcalan’s freedom and against increasing pressures in Kurdistan and other parts of the world? Now the resistances to break the Imralı isolation are in the center of the struggle that took the World by storm. It is a narrow interpretation to see the struggle against the system of torture in İmralı and for the physical freedom of Leader Apo as the struggle against pressures on one individual. Today, the 3rd World War is at the gates of Turkey. And Turkey is concerned over the freedom of Kurdistan. Therefore, the struggle for freedom in North Kurdistan is not just for one part of Kurdistan but also for the democratization of the Middle East and against neo-fascism. 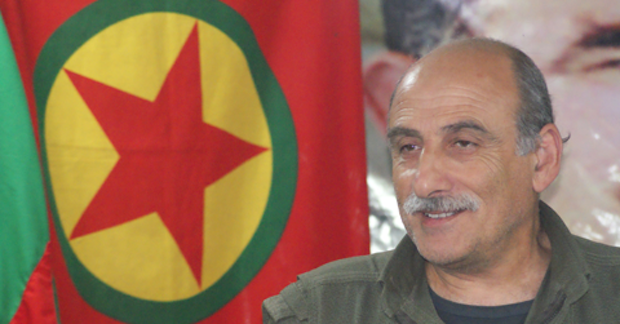 Leader Apo is the theoretical, practical and organizational leader of this struggle. The system of İmralı was developed as a front against this struggle. It emerged as a counter-revolutionary attack on the aforementioned struggle on a global scale. The struggle against the system of İmralı is a crucial part of the revolutionary-democratic struggle against the global, fascist and capitalist attacks today. Now that this struggle is focused on Kurdistan, the struggle for the physical freedom of Kurdistan’s leader is the struggle for the freedom of humanity. Mass protests are expanding and a spirit of resistance has taken shape. This development scared fascist and genocidal forces, which are no doubt mistaken. Kurdish people are making a right and humane demand and affecting both the national and international community. The fascist regime’s mask is falling and the truth about the İmralı system is becoming public. The democratic resistance needs to expand, particularly to Turkish metropolitan areas and democratic forces in Turkey. The newly appointed Interior Minister Süleyman Soylu’s first statements targeted DBP municipalities and first act was to seize 24 DBP municipalities through appointed trustees. What are your thoughts on this development? They are now seizing and besieging municipalities. DBP and HDP parliamentarians made statements on this issue, and our movement expressed its stance as well. The seizures are not acceptable and are an important part of genocidal attacks. Seizing municipalities measures up to the massacres in Cizre and Sur. Municipalities are an important part of democratic local governance, and the fascist system is attacking local democracy. The seizures have no legal basis and are an integral part of the Kurdish genocide implemented through the current state of emergency. We must resist this attack, our movement and the guerrillas will resist. The attackers should watch out, the trustees appointed by Süleyman Soylu or others to the posts of elected officials will be targets themselves. Of course, the people and the mayors, the municipality workers should resist. People should flock to the municipalities and surround them. Thousands, tens of thousands should build a human wall around the municipalities. The political will is represented there. If we are to protect democracy, if we are to protect our democratic will, then that is where the will for democratic self government is. And the elected will should be protected. It is now the time to stand up for our will; both for the national will in İmralı and the local will in municipalities. The state of emergency targets Kurdish people’s national and local democratic will, so people and democratic forces must resist and protect their will. Today is the day of resistance. Civilian and military interventions are intertwined and everyone must resist the attacks of this fascist mob. Resistance cannot be weakened or retreated, so it should continue with determination. 11 thousand 500 teachers, most of whom are Eğitim-Sen members, have been suspended across Kurdistan recently. One year ago, teachers in self-rule resistance areas were recalled and police officers and soldiers were positioned in schools. How do you evaluate the suspension of teachers across Kurdistan? These attacks are not acceptable and must be resisted by any means necessary. AKP is taking advantage of the failure of the July 15 coup attempt and seizing everything. It pretends to fight ISIS but has been carrying out the worst military attacks against the Kurdish people and movement since July 24, 2015. It now pretends to fight against Fethullah Gülen supporters but is actually attacking Kurdish people and democratic forces. This is the AKP’s fascist tactic. AKP will target everyone including teachers. It will target all revolutionary and democratic groups in Kurdistan. We must acknowledge that the AKP is a genocidal force and prepare our resistance accordingly. Teachers are a part of this resistance. It is interesting, guerrillas used to expel teachers that carried out fascist propaganda from villages in the past and the state would claim that we were against education. Since July 24, they turned hundreds of schools in Kurdistan into military barracks and these two institutions serve the same function. Schools carry out cultural massacre and barracks carry out physical massacre; all in the same buildings. Everyone should interpret ‘education’ in Kurdistan correctly. Kurdish patriots and democrats should not say that ‘we send our children to school so that they are not uneducated.’ They are not sending children to school but to places where brains are poisoned. They should not send their children to school. Leader Apo once said “I went to the best school in Turkey and forgot what I had known.” Everyone should understand that there is no education in these schools. These schools are the barracks of people that massacre Kurdish people. If there is no resistance, they use the schools to destroy children’s brains and cultural destruction replaces physical destruction. The teachers recently dismissed in Kurdistan had been working for a salary, and should understand what they teach Kurdish children. They should understand that the system of genocide has been using them in cultural genocide in return for a salary. They can now make up for their mistakes by resisting and educating children in their own language and culture. With such courage, effort and self-sacrifice, such an education effort could be developed. Kurdish people should not accept the barracks-based education system because Kurdish children cannot learn their language, culture or history. Cultural genocide is more dangerous physical genocide, and children should not be sent to sites of cultural genocide. Guerrilla forces are in a great resistance. There have been serious clashes for over a week in Çelê (Çukurca). There have been extensive guerrilla operations in Tendürek. The Gendarmerie General Commander said “We are waging a life and death battle” for the clashes in Çukurca. What does this statement mean? Now, we are facing a failed system. That is why they can’t conduct the attacks unless coordinated from the highest level. That is to say, the attacks are coordinated directly by the general chief of staff, the ground forces commander, the gendarmerie commander, the prime minister or the president. They foresee the unlawfulness now as well, and do everything out in the open. They conduct their attacks as a gang, as an oppressive and terrorist organisation. There is an attack that coincides with the concept “state terror”. Despite acting so aggressive, unlawful and massacrist, they can’t stay afloat. It’s not just the commander in Çelê, Binali Yıldırım himself said “liberty or death”; which is to say, they are on the brink of death and they are trying to save this system from death. Them trying to save the failed system is like praying for the impossible. Now they try to stay alive by killing the opponent. Otherwise they are finished. They are at such a point in the war they are waging. They won’t be able to uphold this system of fascist oppression and it will fail completely. The only solution they have left is the massacres they commit. That’s why they say “life and death”. They think they will live if they kill the opponent. Turkey’s occupation operation in Syria continues. Parallel to this operation, Turkish soldiers have conducted attacks on YPG/YPJ positions in Efrin, Kobanê and Dêrik and on Rojavan Kurds as well on the borderline. Is this provocation? What do they aim to achieve with these attacks? The political mindset of the AKP and Turkey administrations is like this, they are anti-Kurd. Not just in the Bakur (North), in Rojava (West) and Bashur (South) and Rojhilat (East) Kurdistan too, they are against Kurds. Them meeting with Barzani doesn’t mean they accept the Kurds of Bashur. They keep that region under control in that way. They want all Kurds to be like that. PKK is a movement that resists that. They told Mazlum, Kemal, Hayri to “be like that” in the dungeons too, and the PKK rejected that and resisted. Rojava resists that as well. If other Kurds accept the position of the Bashur administration, they will accept them too. They have such Kurds inside the AKP as well. They are against the free Kurd, the Kurd with the will. They are against Kurdish freedom and existence. You could say, “Isn’t the administration in Hewler a Kurdish administration?” Yes, but they are pulled to AKP’s side to fight against the Kurdishness in Bakur and Rojava. It’s a tactic of special war. They wouldn’t even talk to Barzani if it wasn’t for the resistance in Bakur and Rojava. They wouldn’t send a corporal to meet with him. In the past, they couldn’t meet with the state, we remember those days as well. If they can meet with the President and the Prime Minister today, that is also due to the freedom resistance developed by the PKK. Turkey doesn’t accept Southern Kurdishness as a will. And they have been fighting against Rojava since the beginning. ISIS was supported by the AKP since the beginning, the AKP fed ISIS. Tayyip Erdoğan is the one who conducted the Kobanê attack, he said clearly, “Kobanê is about to fall, then it’s Efrîn’s turn.” He couldn’t fell Kobanê, now he has launched an attack to stop Kobanê and Afrin from uniting and thus destroying Efrîn. In any case, they have an agreement, ISIS draws back, they take its place. What does Turkey do against ISIS? Nothing. On the contrary, their complicity comes to light in this agreed upon situation. Those who make agreements with Turkey are tacitly complicit with ISIS. Those who see Turkey in the coalition against ISIS are actually in agreement with ISIS. The Kurds of Rojava and the peoples of Syria must see this danger. The fascist dictatorship in Turkey isn’t just against the peoples in Turkey or the will of the Kurds. It is also against especially the will of the Arab people. They want to establish a colonialist control over the Arab people. They consider themselves like the caliph of Islam. Just like the period when Sultan Selim took the caliphate and ruled over the Arabs. Now they want to turn the Arabs into a second class people controlled by them. Everybody must stand against this and must resist. The Jarablus attack of Turkey is a great threat against all peoples of Syria, for the Arab people. If the Arab people don’t take this threat seriously, they may lose whatever will they have now. Those who support the AKP today must see the truth, and stand against these attacks by Turkey. They must unite all their forces in Democratic Syria. Instead of the US and Russia declaring a ceasefire now, the forces in Syria should have united and declared it. Those who are fighting can come together and declare a ceasefire. A ceasefire is a military action, and it is a facet of war. Especially with the threat of the newly launched Turkish invasion, everybody should take such a stance. Those joining the invasion in alliance with Turkey now are a new ISIS force. Those forces have nothing to do with the FSA, they are Al Nusra. Now Russia and the US have decided to attack Al Nusra. So, where is Al Nusra? Al Nusra is in Jarablus now, but they entered Jarablus with their support. The administrations of the US and Russia must be consistent. Are they really against ISIS, or not? You can’t be against ISIS in this way. You can’t fight ISIS with Turkey. No change can happen in the Middle East with the current mindset and politics of Turkey. The correct approach and the way to a solution that seeks a democracy in the Middle East is an anti-fascist alliance, like back in Kobanê. We see every day how the mindset and the politics in Turkey is anti-Kurdish sentiment. They divide Kurdistan in the middle, build a wall like the Berlin Wall. Why do the Europeans look away? Now, in the first quarter of the 21st century, walls are being built through Kobanê-Qamishlo. They want to do what Israel did on the Palestinian border. They want to turn the border between Southern Kurdistan and Northern Kurdistan into that as well, the war in Çelê is part of that. That way, they want to divide Kurdistan from the Mediterranean to the Caspian Sea with such a wall. The Altan brothers were caught, we wish them resilience. Those who criticise that say “the country is turning into a prison”. It’s not just the internal pressure in the country, the country is also building walls along its borders like a prison, it’s putting up barbed wire and digging up trenches. Neither the society in Turkey nor the global powers should support the current politics and the mindset. The prolonging of the politics and mindset Erdoğan represents puts a strain on Kurdistan, Turkey and the Middle East. It causes all these bloodshed, massacres and suffering. Those who turn a blind eye also become complicit in this. Erdoğan and AKP government officials stated that they “want to bring Syria back to its state before 2011” and that they “will destroy it in six months”, referring to Rojava. What should the local forces of Rojava and Syria do against these threats? Bringing Syria back to its state before 2011 means establishing a nation-state fascist dictatorship similar to that in Turkey by pushing the developments in Syria aside and destroying the democratic developments in Rojava. Turkey and Syria were fellows in the past; they were two states but like one single government. They want to return to that position now. Yet, nobody will want to be like Turkey. On the contrary, they have a mission and responsibility like changing Turkey. We believe the peoples of Syria and Arab community will not believe this case. The conflict in Arabia did not come out on the basis of foreign forces’ request only. Internal dynamics played a role in this, and they defended the existence and will of the Arab community against the divided Arabia reveled by the First World War, and the Arabism that was reduced to second-class status. The Arab opposition will no more accept the result revealed by the First World War. Arabs can no more be a second-class society of the Middle East. Arab people have joined or led many revolutions. Theirs is a ground where the Islamic revolution was developed and all religions arose. They do not accept the current status and their resistance arises from this objection. Arab intellectuals, politicians and communities will see the truths more, and they will consider struggling together with other peoples to create a new democratic Middle East. They will particularly ensure participation in the development of the Kurdish-Arab relations on a powerful and democratic ground. The most prominent ground for this is Syria where Kurds, too, have developed a revolution of freedom, became conscious and got organized. The Arab community does also have a certain consciousness and will at the level of tribes and various parties. These need to be united in the same pot; which is Democratic Syria. This could be either confederation or federation but there is an absolute need for a new democratic Syria. This reality must be understood by the Bashar Assad government in the first place. This can be achieved if Assad regime desires to eliminate Turkey’s impositions, overcomes the nation-state fascism and develops relations with Kurds freely. Assad cannot stand against Turkey by imitating Turkey’s practices. From this point of view, Syria could be an interim model and a starting point. We call upon all the peoples, intellectuals and political powers of Syria to lay the foundations of such a democratic Syria, and to unite under this roof. Rojava’s Kurds should also adopt this approach. They should consider generating free Kurdishness and free Kurdistan in a democratic Syria, and do whatever is necessary for the realization of this goal. Rojava Kurdistan should be made a leading and major initiative of the democratic Syria. ISIS has been a danger up to date, but there exists a second danger at the moment and it surpasses the ISIS; which the mentality and existence of the Turkish state. All the peoples of Rojava and Syria should see this truth well. Rojava Kurds, young and old alike, should organize themselves on the basis of “the reality of a people in battle” as is defined by Leader Apo. Everything should be based on resistance because there exists a huge threat and a free life cannot be attained without assuring the existence and security.